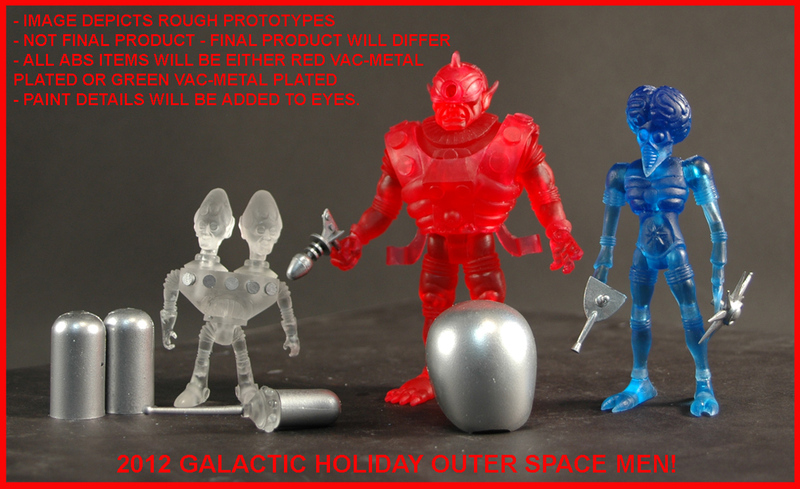 The Outer Space Men Galactic Holiday 2012 are arriving now! Mine was dropped off at 8:30 AM, which is, all things considered, pretty surprising. In an interesting twist, this year the items come semi-packaged. 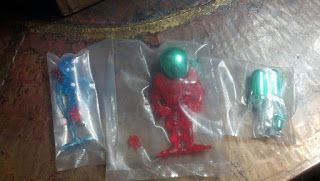 Each figure is packed in a sealed clear plastic bag, just like Onell Design Glyos figures have been for the bulk of the year. The twist is that flat, unused packaging is also included. Note 2 Zip bags, 2 Gemini/Orbitron header cards, 2 backer cards, and a flat, unfolded Cyclops box were also included in the order. Interesting! I'm interested in seeing if later shipments will come packaged normally, but I gotta say I hope the Four Horsemen keep doing it this way. Flat, unused packaging is a fun collectible and I generally discard "used" packaging for most figure lines. If you haven't ordered this set yet, they're in stock at Store Horsemen as I write this. $50! Hey everybody! 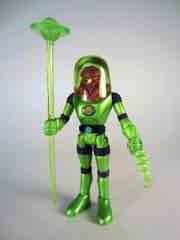 I just got my ship notice for the Galactic Holiday 2012 editions of Cyclops, Gemini, and Orbitron figures. No estimate for delivery yet, but I've got a FedEx tracking number and will post here as soon as they show up. Last year it took about 4-5 days, so Happy Holidays and let's keep it vague if it'll be before or after Christmas for now! As far as I know final figure photos with color accessories are not yet available, so big, big, big kudos on them for putting such a priority on getting the figures out the door! I really appreciate it. Now back to watching for the FedEx truck. UPDATE: Our pal @JohnDoctorKent sent us our first-ever look of the final figures! 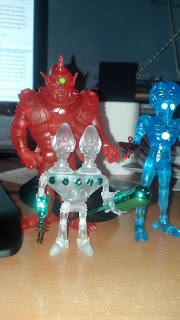 Note Orbitron has white painted eyes and red gear. Cyclops has green gear, as does Gemini, and so far we haven't seen if they have painted details yet. The set we ordered should be here December 27, so more then... if not sooner! UPDATE #2: Our pal @JohnDoctorKent sent us unhelmeted figures with the gear off! Hooray! Check it out.